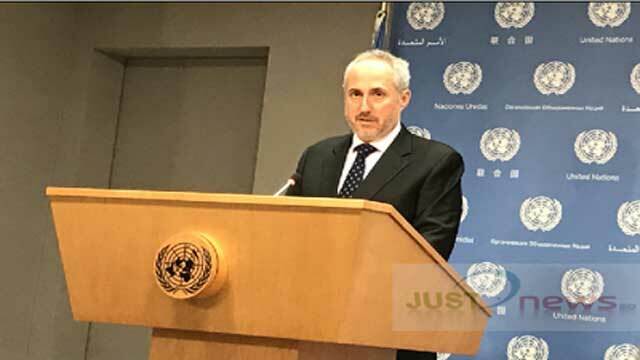 Special Correspondent from New York, Oct 14 (Just News): Stéphane Dujarric, Spokesman for the UN Secretary-General said that the United Nations will look the matter of forced leave of Bangladesh Chief Justice and arrest warrant issued against BNP Chief Begum Khaleda Zia. Mushfiqul asked that the Chief Justice of Bangladesh forced to go on leave and leave the country. And the government issued arrest warrant against the former Prime Minister and the main opposition leader, Begum Khaleda Zia. So what is your observation on these? In response Stéphane said I don’t have the particulars of this case, but I will look into it.